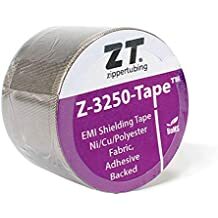 Z Flex Pfr - Pull Through Sleeving - Wire And Cable Bundling - Products - ZT | Zippertubing Co.
A special "blue-line" nylon cloth leader inside the jacket is provided for fast, easy pull-through of the cable. Z flex® (PFR) is an economical, high-performance, heavy duty, pull-thru jacketing system for flat cables made from Zippertubing's type PFR-18. This configuration is ideal for inter-connection applications where mechanical protection is required and a sealed, flat, tubular jacket is desirable. Z flex® is supplied in reel form and is easily cut to any length required. Z flex® (PFR) is made from a Polyurethane jacket offering exceptional toughness, resistance to abrasion and fluids, while exhibiting high flexibility throughout its wide temperature range. 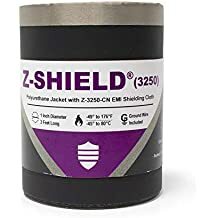 The jacket is ideal for use in difficult environments and for many nuclear, aerospace and military applications where PVC materials are not permitted. The PFR-18 material passes FAR-25 requirements for flammability and smoke generation. A special "blue-line" nylon cloth leader inside the jacket is provided for fast, easy pull-through of the cable. Z flex® (PFR) is available in many standard sizes to fit the most popular flat cable sizes ranging from 20 to 64 conductors. Custom sizes and colors are also available. Refer to Zippertubing's PFR-18 data sheet below for specific material characteristics. Inside Diameter 1.625" 2.0" 2.75" 3.5"
Heat-Sealed closures are created when a material is formed into a tube shape and the seam area is heat welded together to form a closed, seamless tubing. The technique allows tubing to be created that can far exceed the typical performance characteristics of conventional round extruded tubings. This design creates a cost effective, Pull-Thru abrasion protection jacket requiring no installation tooling. The style is best suited to short length cable runs, and most types are available. Zippertubing nylon leaders are made of woven fabric cloth made from DuPont Type 6, mid-dull Nylon yarn. The material shall have a urethane back coating, proving a good degree of water repellency. The leader is also rot and mildew resistant.